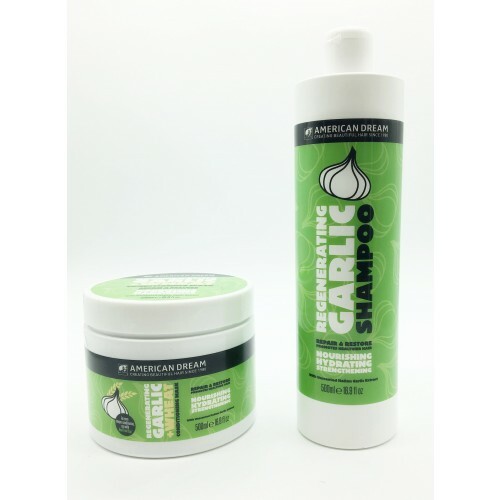 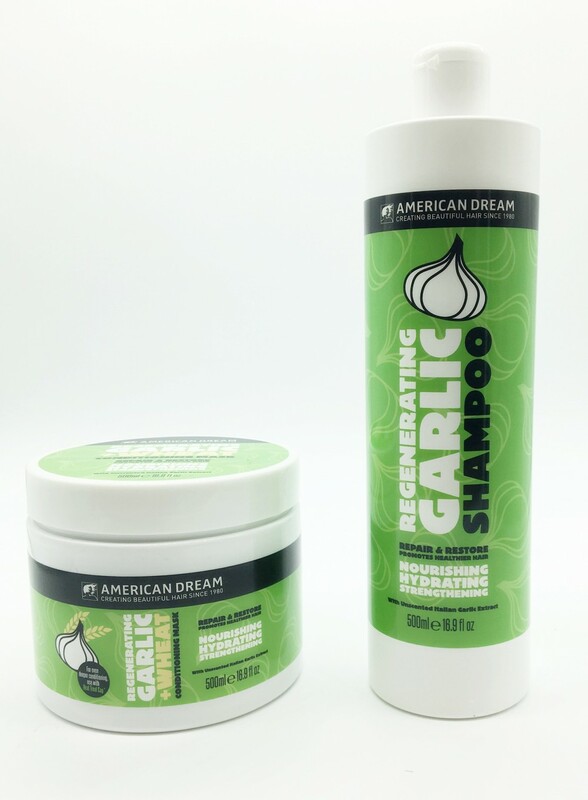 American Dream launches a NEW (odourless) Regenerating Garlic Shampoo and Regenerating Garlic & Wheat Conditioning Mask, made with real Italian garlic bulbs, horseradish root and wheat proteins. 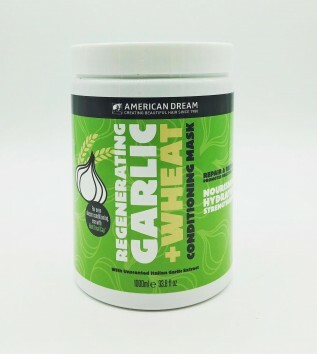 Horseradish root is added for its high-dose antioxidants which improve circulation to the scalp, helping regenerate hair and prevent hair loss while hydrolyzed wheat protein, derived from wheat germ, penetrates the hair shaft and is absorbed by the inner fibres of the hair making it thicker and adding volume while repairing damage which in turn results in improved structure, shine and manageability. 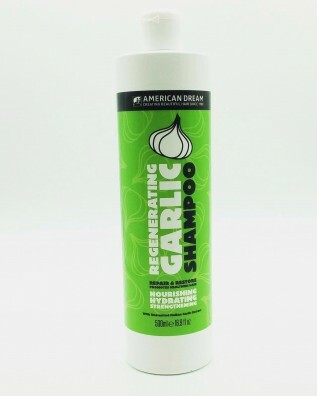 Both are excellent VEGAN?